Judah Meek preparing coffee at Service Station. From the road, one might see the broad, two-story Service Station building and wonder why a coffeehouse would need so much space. The tables and couches inside the roomy, European-style café are constantly filled with families, students, couples and friends sipping on coffee and snacking on goodies, but that's just one room. The Service Station runs the rest of the building as an event center. Four rooms can be rented out for various occasions, including business meetings, conferences, Christmas parties, baby showers, weddings and wedding receptions. There's the Green Room (set up like a living room), a boardroom, conference room and an auditorium. Christian concerts are one thing the Service Station has been known for since it first opened in 2005, says owner Anita Genova. The artists sometimes break the Christian-genre bounds, but for the most part the bands who perform tend to be on the mellow side. You probably wouldn't catch a band like AC/DC playing here, Genova jokes. Among recent performances was a show by Switchfoot frontman Jon Foreman. In addition to providing event space and selling coffee, the Service Station seeks to give back to the community. "The reason why [it's called] 'Service Station' is because we serve the city of Spokane," she says. "We are an organization that supports good causes in town." For example, nonprofits that rent rooms receive 10 percent off their booking cost. The Service Station also sells food from Christ Kitchen, as well as hats and backpacks from Krochet Kids, a nonprofit that sells handmade products made by women in Uganda and Peru. Even in their coffee choices, Genova says she wants to help third-world countries. Their coffee comes from Dominion Trading Coffee in Ethiopia. 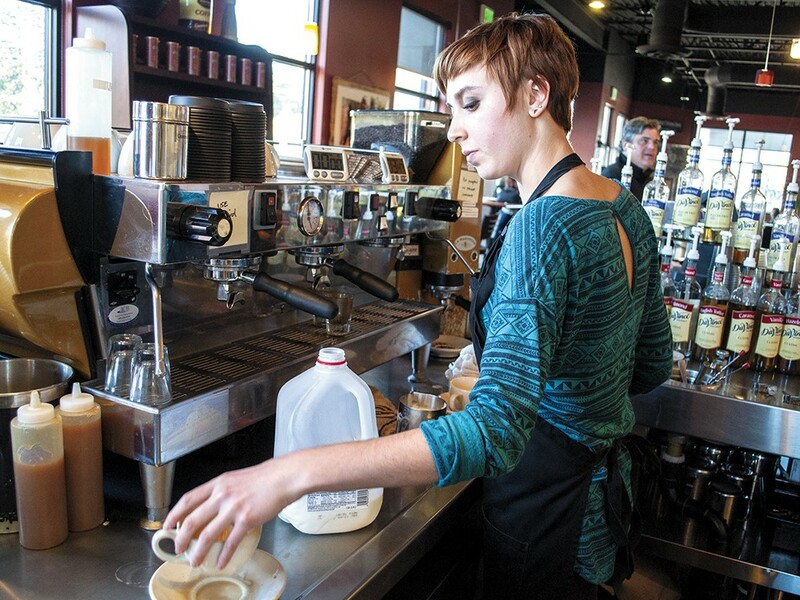 "We buy a little bit more expensive coffee to keep people in Africa employed," she says.